1 pattern for the Cherubs Kneeler, full colour design in watercolour on squared paper backed to card. 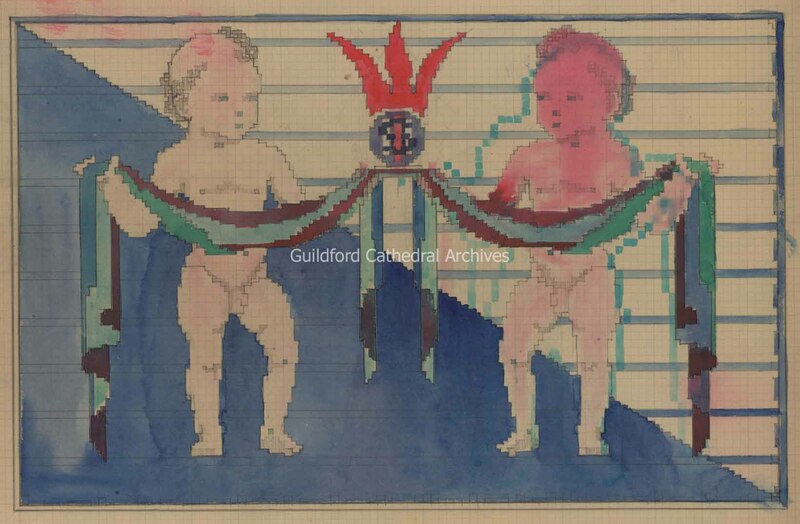 The design shows two cherubs holding lengths of fabric. A flame appears between them.